TheBeagleBarn.com - References Visit Us at www.FaceBook.com/TheBeagleBarnYou will enjoy seeing my beautiful pups that have gone to their new homes along with testimony for their new owners. Just click the link above and like the page to enter. that have gone to their new homes along with testimony for their new owners. Just click the link above and like the page to enter. 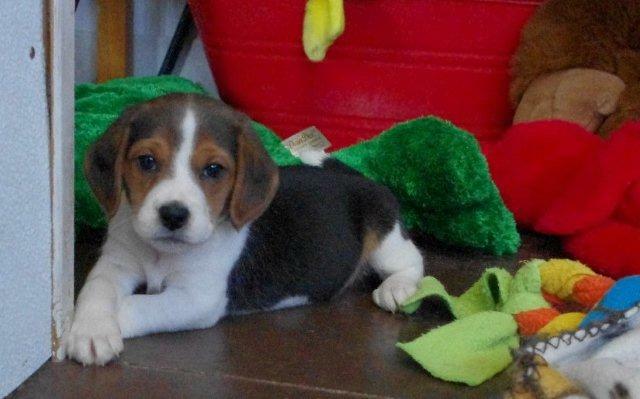 A GOOD BEAGLE PUPPY IS WORTH THE WAIT! 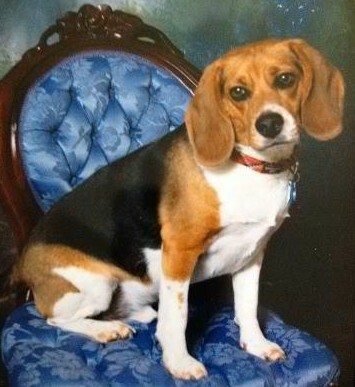 I have been breeding beagles for over 40 years. They are the only dog I raise. I do not sell to pet shops or dog brokers. I only sell to private parties. I do not ship any of my puppies. We run a closed kennel and do not breed to any dogs that we do not own. All puppies are sold for family pets only. Our puppies are American Kennel Club registered (limited rights) meaning you are not allowed to breed them. This helps us to control the quality of our breeding line and the genetic health line of our kennel, providing you with a healthy puppy. My beagles are the smaller 13" and under size. They weigh at adulthood 18 to 28 pounds. Although we cannot guarantee you what height and weight your puppy will be when it is fully grown, your pups parents are of equal size and you will be able to meet and see both parents to get the best idea of what size your pups maybe when he/she is fully grown. Because of their small compact size this makes them an excellent size for a house dog. It is important to me, to raise puppies that are extra healthy and well socialized. I raise Beagles because I love the breed and truely feel you will never find a better family dog. Beagles are extremely loving, they love all animals and all humans. They are social pack dogs by nature, with a happy go lucky personality. So they adjust well to groups whether it be animals (same kind dog or different cats etc), children (they love children) and of course adults. They are great watch dogs, and will bark when someone is at your door. But, once you open the door whether it is a robber or friend, they will lick'em to death. Beagles adore children and are the best playmate a child will ever have. If you have any questions, please feel free to email me. Earl (born 8-7-12 as Danny) enjoying his first birthday with a trip to the dog park. He has the cutest habit of tilting his head when I talk to him, almost as if he understands what I am saying. He is such a wonderful dog and we can't imagine life without him! Bless you for raising such beautiful dogs. 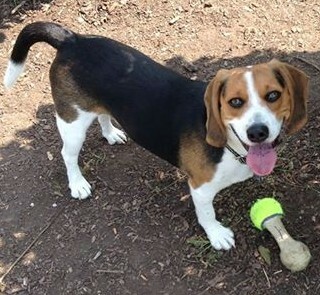 We just wanted to say thank you for our wonderful beagle, Argos (born in January as Chase). He is so sweet and gets along great with our other dog. Thank you! 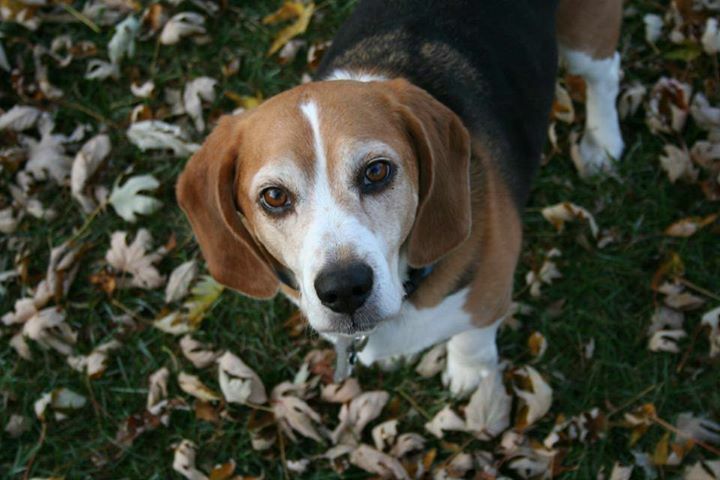 Hank T Beagle will be 10 years old this fall.. and he came from Linda Tordai Beagle Barn.. 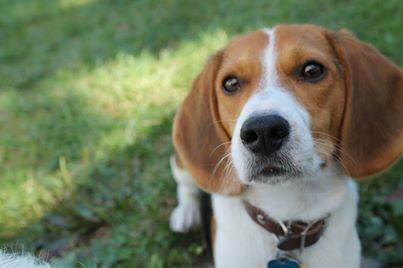 Please LIKE her Facebook page for Hank and all the awesome Beagles she has hand raised! Thanks Linda !! Happy Birthday to my Brody (formerly Gambler) born September 30, 2009. Thank you, Linda for the best dog I have ever had. Scooter is extremely successful in agility and is nicknamed "The Flying Squirrel"! 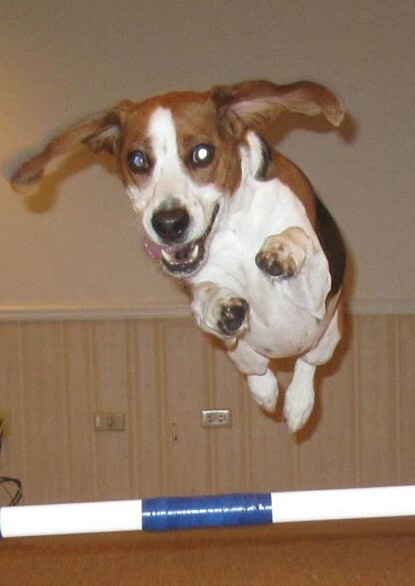 He LOVES agility!! He is also exceptional with tricks - he knows over 15 commands such as bow, roll over, play dead, and head on the pillow! I got Scooter from you May 1, 2007, and he is the greatest dog. Scooter has a great sense of humor and makes me laugh all the time. I wanted to let you know that he's doing really great! !